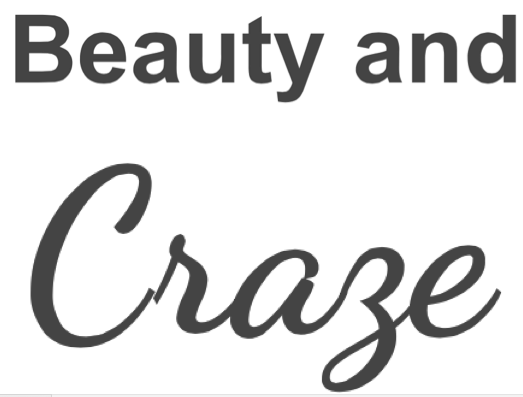 Beauty and Craze : Self Tanning! With Autumn/Winter around the corner, its fair to say the sun isn't going to be around for much longer, personally I think there is no excuse to let that summer tan fade away. I love tanned skin, always have loved tanned skin, and naturally I have always failed to keep my natural tans. For some strange and unwelcome reason I cannot maintain a natural tan, as it fades so quickly. On the plus side I have managed to accept the fact I have no reason to tan in the sun. So since coming into realization that I cannot maintain a natural tan I began trying many products to help me keep that holiday glow throughout Summer and also through the colder seasons. I have black hair, so being having pale skin really isn't a good look for me at all. I started with your gradual tanners, the first one I ever tried was the Johnson's Holiday Skin Body Lotion, and this was when I was about 15. I loved this product, it was like my best friend. However, with all fake tans it began to look fake and orange, so I stopped using that. The list is actually quite long. 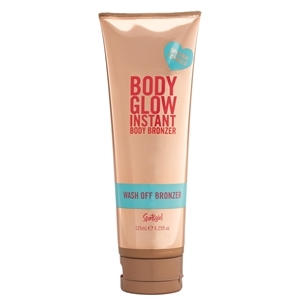 Until one day I was recommended by a colleague to a Sportsgirl product called Body Glow Instant Body Bronzer and was only $9.95!! Seriously amazing, great for instant bronzing all over and washes off, so no matter how much you stain your hands, it can be washed off! What I love about this product the most is that it looks natural and its shimmery, just like you've just jumped off a plane from Bora Bora. This product contains Shea Butter and Sweet Almond Oil. Also from the bronzing range at Sportsgirl is my second favourite bronzing product which is The Tan Commandments Self Tanning Mousse, this one lasts up to 7 days and has the same effect as the Body Glow, beautiful brown look, not ORANGE! This one you will have to be quick to wash your hands afterwards as it may stain your hands, and $12.95 from a Sportsgirl store. 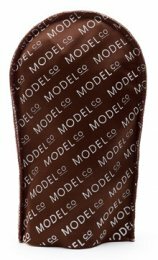 When using the Self Tanning Mousse, or any self tanning product for that matter, use a tanning mitt. I use the Model Blend Buffing Mitt $11.95 from a Priceline store as it helps to protect my hands from nasty stains and blends my tan in so much better than my hands.